Add different artwork the back of your can cooler? Our Can Cooler are exactly that. They keep your can’s cool and your hands warm. So you can enjoy your favourite beverage nice and cold without your hands freezing too! 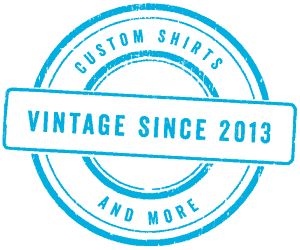 You can custom them with images, text, logo’s or artwork. Size: One Size Fits Most Cans! 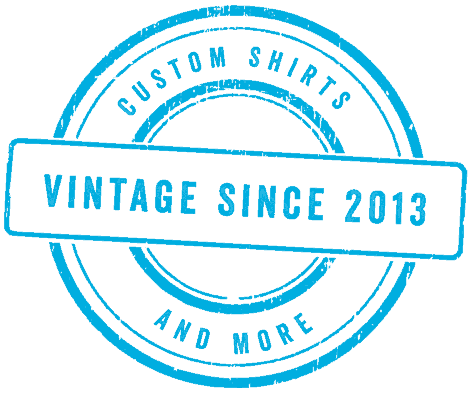 For our bottle shirts click here. 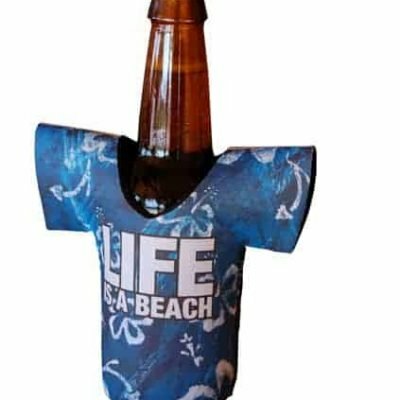 For our bottle wrap click here. These are great for BBQ’s and parties where everyone is enjoying ice cold beverages and don’t want to have a glass! We have created a variety of different Can Coolers for customers with logo’s, hand drawn images, photo’s and names on. The price above is for the same piece of artwork on both sides of the can cooler. If you would like to add different artwork to the second side there is a small extra charge for that. Unsure about your artwork and what will work the best, call us to discuss your exact requirements. Our artwork specs can be found on our artwork specs page. 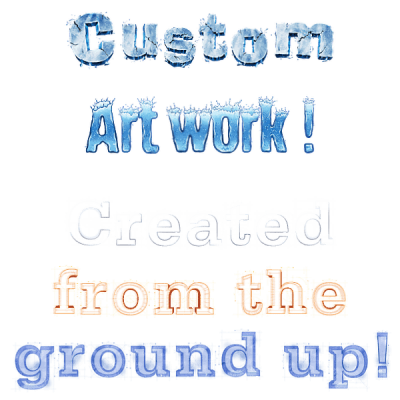 Please do note that if we are creating the artwork for you for one or both sides, you will need to add a custom artwork product to your shopping cart for each side if they are different. 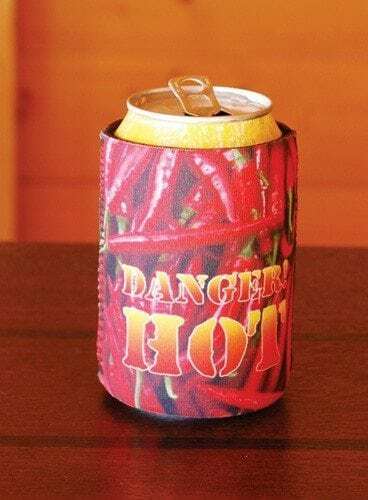 *Due to the process used in the print and transfer process it is not possible to fully cover the stitched sides of the can cooler. They come to us already stitched. So a small white line will be left at either side of full colour artwork. This is not a defect, just a limitation. We recommend you take that into consideration when designing your artwork. For artwork with a transparent of white background this isn’t an issue. No refunds will be issued as we have mentioned this. We will remind you if you artwork is to be full colour covering the whole of each side of the can cooler. Just to check you are happy with it.